The German footballer says he’s not scoring as many goals as he wants, but he’s getting better thanks to his club teammates. Paris Saint-Germain is currently in first place of the French Ligue 1 thanks to 18 wins. The team has not 56 points, drawing only twice and they are the only club in the league which has yet to lose. But most impressively is the goals scorer, as PSG has scored 66 goals in 20 matches, allowing only 11 against them. 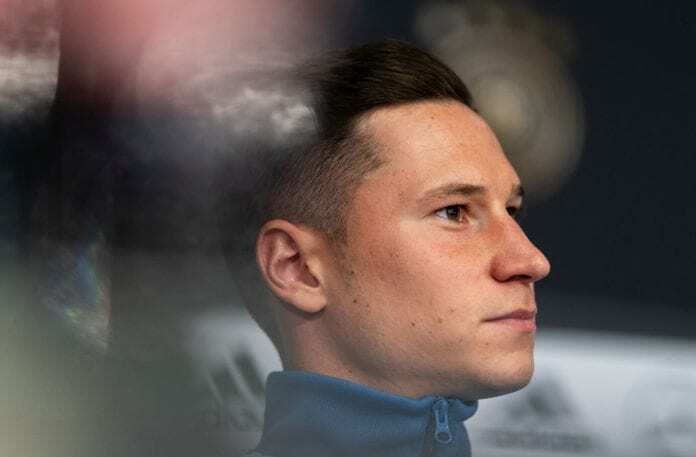 And German midfielder Julian Draxler is responsible for some of them, as he has 11 goals in 63 matches with the French leaders. Now he’s set for his 100th appearance with PSG on Sunday against Lyon. “Yes, that’s a very special number for me. Time goes very quickly… I signed for Paris just two years ago,” the German told the club’s official website. “I think I can do better. But when Neymar and Kylian arrived, I have been playing more and more in midfield, even in front of the defense in recent matches,” he continued. “For me, the most important was against Barcelona here at the Parc des Princes,” he explained his best goal ever scored. “Playing there is never easy. Lyon has a very good team, still qualified in the Champions League,” he said about playing in Lyon.